What should I use to blend my pastels? Reader Question: What should I use to blend my pastels? I'm using soft pastels on paper and I'm wondering if it's okay to use my finger to blend, or are there special pastel tools for blending? You can definitely use your fingers to blend pastels! 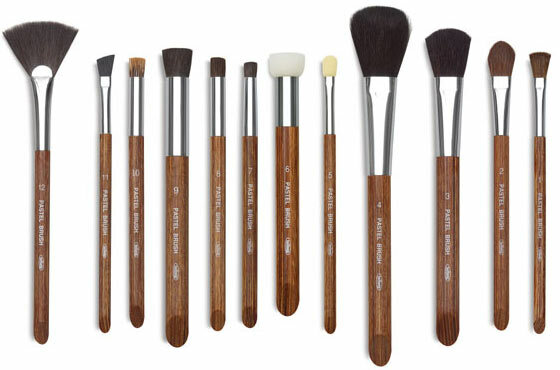 There's also other blending tools that you might not have thought of. Let's take a look at them! If the paper is sandy or rough (as many pastel papers are), your fingers may turn raw with too much rubbing. You'll have difficulty blending areas that are smaller than your fingers without smudging. 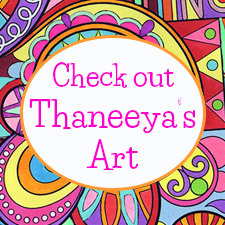 You'll need to wash your hands frequently to avoid accidentally transferring the color on your finger to another area of the artwork. Some artists use finger cots to protect their fingers from getting rubbed raw. Finger cots also help with cleanliness. 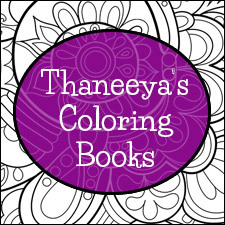 When you're done rubbing one color, just remove the finger cot and put on another one to blend another color. Voila! If you blend pastels with your fingers and you opt not to use finger cots, be sure to wash your hands regularly so that you don't accidentally smudge your artwork. Wet Wipes are handy to keep on hand so that you don't have to get up and go to the sink every time you need to clean your hands. Pastel shapers look like paintbrushes, but instead of hairs on the end, they have either flat or tapered rubbery ends that are great for blending pastels. 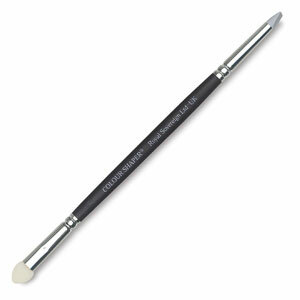 The pointy (tapered) pastel shapers are useful for blending small areas or working with fine detail, while the flat pastel shapers are good for blending larger areas. 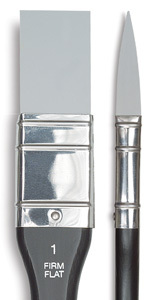 Pastel shapers are sometimes referred to as "color shapers". 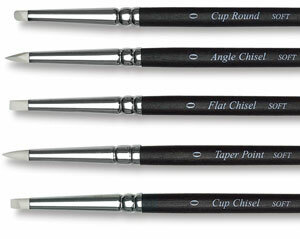 Some pastel shapers, like the ones below, have a pastel shaper on one end and a pastel brush on the other end. Very handy! Holbein pastel brushes were specifically designed for blending pastels. They are available in a variety of shapes. 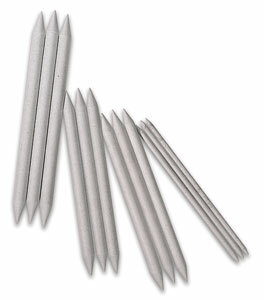 Q-tips, also known as cotton buds, are an excellent alternative for blending pastels if you have nothing else on hand. Tortillons, also called stumps, are tightly-wound sheets of paper shaped like a pencil. Rub the end of the tortillon on the area you want to blend. When the tortillon gets too dirty, simply unwind the paper to expose a fresh tip. You can use a cloth to blend pastels, but chamois are even more effective. Chamois is a type of super-soft and flexible leather that is excellent for blending colors with pastels. For large areas, you can wipe or rub the chamois across the surface of your paper. For smaller areas, you can wrap the chamois around your finger and then blend the pastel. When the chamois gets dirty, you can wash and dry it by hand or in your washer and dryer, and it will be as good as new. A kneaded rubber is a must in any artist's toolbox, because it is the most pliable eraser you can find. Kneaded rubbers are also great for blending pastels. If you need to blend a tiny area, simply twist and mold the kneaded rubber into the right shape and blend away. 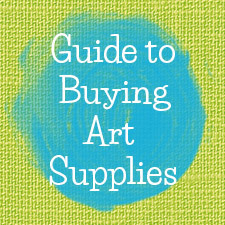 If you'l like more information, check out the pastels section in my Guide to Buying Art Supplies.